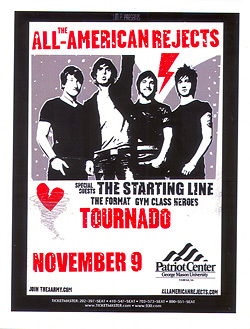 Description: 3x5 All American Rejects three color 2007 concert handbill. Description:5x9 Allman Brothers Band Arminski Handbill 1998 day-glow poster art show handbill. Description: 5x9 Allman Brothers Band Arminski Handbill 1999 day-glow poster art show handbill.